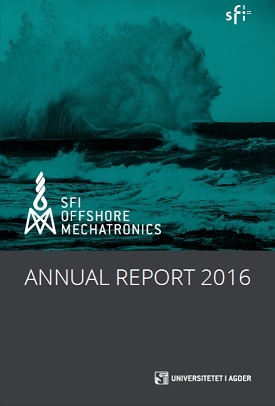 The SFI Offshore Mechatronics Annual Report 2016 (PDF, 9.4Mb) is available at: SFI-Offshore-Mechatronis-Annual-Report-2016 (for screen) and Annual Report-2016 (for print). J1: Aksel Sveier, Adam Leon Kleppe, Lars Tingelstad and Olav Egeland, Object Detection in Point Clouds Using Conformal Geometric Algebra, Advances in Applied Clifford Algebras, Feb. 2017. J2: Lothar Wöll, Georg Jacobs and Achim Feldermann, Sensitivity Analysis on the Reliability of an Offshore Winch Regarding Selected Gearbox Parameters, MIC, Vol 38, No. 2, 2017. J3: Daniel Hagen, Witold Pawlus, Morten K. Ebbesen and Torben O. Andersen, Feasibility Study of Electromechanical Cylinder Drivetrain for Offshore Mechatronic Systems, MIC, Vol 38, No. 2, 2017. J4: Sondre Sanden Tørdal and Geir Hovland, Relative Vessel Motion Tracking using Sensor Fusion, Aruco Markers, and MRU Sensors, MIC, Vol 38, No. 2, 2017. J6: R. Schlanbusch, E. Oland and E. Bechhoefer, “Condition Monitoring Technologies for Steel Wire Ropes – A Review”. International Journal of Prognostics and Health Management, vol. 8(1), p 14. J7: Espen Oland, Rune Schlanbusch and Shaun Falconer, “Condition Monitoring Technologies for Synthetic Fiber Ropes – a Review”. International Journal of Prognostics and Health Management, 2017: Vol 8 (2). ISBN 2153-2648-, 2017 014. J8: Lars Tingelstad, Olav Egeland, “Motor Estimation using Heterogeneous Sets of Objects in Conformal Geometric Algebra”, Advances in Applied Clifford Algebras, 2017. J9: Geir Hovland and Jan Kučera, Nonlinear Feedback Control and Stability Analysis of a Proof-of-Work Blockchain, MIC, Vol 38, No. 4, 2017. C1: Torstein Myhre and Olav Egeland, “Estimation of Crane Load Parameters During Tracking Using Expectation-Maximization”, American Control Conference, Seattle, May 24-26, 2017. C2: Sondre Sanden Tørdal, Witold Pawel Pawlus and Geir Hovland, “Real-time 6-DOF Vessel-to-Vessel Motion Compensation Using Laser Tracker”, MTS/IEEE OCEANS Conference, 2017, Aberdeen. C3: Sondre Sanden Tørdal and Geir Hovland, “Inverse Kinematic Control of an Industrial Robot used in Vessel-to-Vessel Motion Compensation”, Proc. 25th Mediterranean Conference on Control and Automation (MED), July 2017. C4: Joacim Dybedal and Geir Hovland, “Optimal Placement of 3D Sensors Considering Range and Field of View”, Proc. IEEE/ASME Advanced Intelligent Mechatronics (AIM), Munich, Germany, July 2017. C5: David A. Anisi, Svein Gjermund Tveide and Valentinos Kongezos, “State classification for autonomous gas sample taking using deep convolutional neural networks”, Proc. 25th Mediterranean Conference on Control and Automation (MED), July 2017. C6: Olav Heng and Sondre Sanden Tørdal, “Calibration of the Norwegian Motion Laboratory using Conformal Geometric Algebra”, in Computer Graphics International, ENGAGE Workshop, 2017. C8: Martin Hemmer, Tor Inge Waag and Kjell G. Robbersmyr, “A Review of Methods for Condition Monitoring of Large, Slow-Rotating Bearings”, University of Central Lancashire, COMADEM 2017. C9: Rune Schlanbusch, Eric Bechhoefer and Thomas J.J. Meyer, “Low Computation Acoustic Emissions Structural Health Monitoring Trough Analog Signal Pre-Processing”, Annual Conference of the Prognostics and Health Management Society 2017. C10: Sondre Nordås, Morten K. Ebbesen and Torben O. Andersen, “Feasibility Study of a digital hydraulic winch drive system”, The 9th Work-shop on Digital Fluid Power, Aalborg, Denmark, Sept. 2017. C11: Sondre Nordås, Morten K. Ebbesen and Torben O. Andersen, “The potential of a digital hydraulic winch drive system”, The 9th Work-shop on Digital Fluid Power, Aalborg, Denmark, Sept. 2017. C12: Viktor Donkov,Henrik Clemmensen Pedersen, Morten Kjeld Ebbesen and Torben O. Andersen, “Applying Digital Hydraulic Technology on a Knuckle Boom Crane”, The 9th Work-shop on Digital Fluid Power, Aalborg, Denmark, Sept. 2017. C14: L. Ben Saad, C. Asensio-Marco and B. Beferull-Lozano, “Topology design to reduce energy consumption of distributed graph filtering in WSN, in 5th IEEE Global Conference on Signal and Information Processing (IEEE GlobalSIP),Montreal, Canada, November 2017. C15: L. Ben Saad, T. Weerasinghe and B. Beferull-Lozano, “Topology Design to Increase Network Lifetime in WSN for Graph Filtering in Consensus Processes” in 25th European Signal Processing Conference (EUSIPCO), Kos Greece, August 2017. C16: B. Zaman, L.M. López-Ramos, D. Romero, B. Beferull-Lozano, “Online Topology Estimation for Vector Autoregressive Processes in Data Networks”, IEEE International Conference on Computational Advances in Multi-Sensor Adaptive Processing (CAMSAP), 2017. C17: M. Ramezani, B. Beferull-Lozano, “Graph Recursive Least Squares Filter for Topology Inference in Causal Data Processes”, IEEE International Conference on Computational Advances in Multi-Sensor Adaptive Processing (CAMSAP), 2017. C18: M. Hemmer, T.I. Waag., “A Comparison of Acoustic Emission and Vibration Measurements for Condition Monitoring of an Offshore Drilling Machine”. In Proceedings of the Annual Conference of the Prognostics and Health Management Society 2017. ISBN 978-1-936263-26-4. C19: Shaun Falconer, Andreas Gromsrud, Espen Oland and Geir Grasmo, “Preliminary Results on Condition Monitoring of Fiber Ropes using Automatic Width and Discrete Length Measurements”. Proceedings of the Annual Conference of the Prognostics and Health Management Society 2017. ISBN 978-1-936263-26-4. C20: Oland, E., E. Bossolini, O. W. Nielsen, M. P. Sørensen, “Modelling the thermal properties of large diameter fibre ropes”. In Proceedings of the OIPEEC conference. La Rochelle, France. C21: L. Wöll, G. Jacobs, A. Feldermann, S. Neumann, F. Straßburger, “Influence of wave height on the reliability of an offshore winch”. Antriebstechnisches Kolloquium 2017, ATK 2017, Aachen, Germany, 7 Mar 2017 – 8 Mar 2017. C22: T. Lassen and Z. Mikulski, “Fatigue methodology for life predictions for the wheel-rail contact area in large offshore turret bearings”, 11th ICMFF. 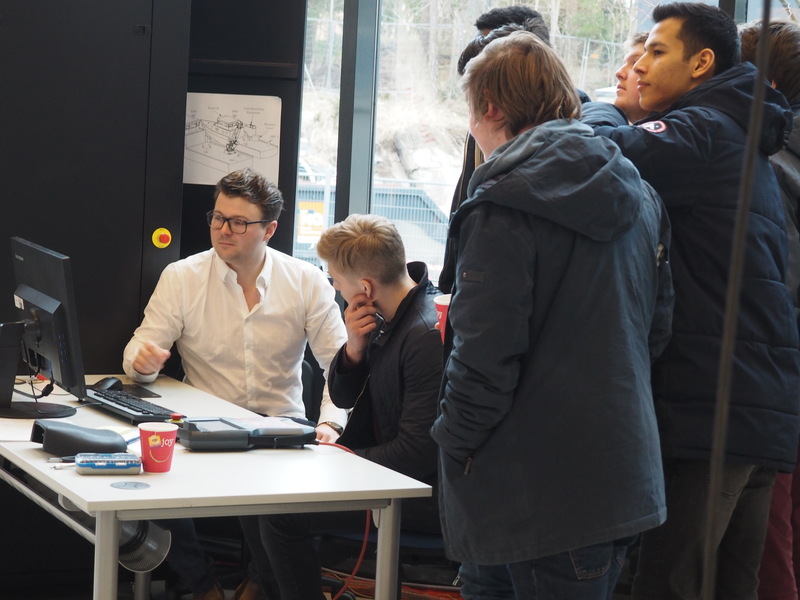 Today about 30 students from a local high school visit UiA and got insight and demonstration from PhD student Sondre Sanden Tørdal of the latest work in the SFI Offshore Mechatronics project. A lot of filming went on while he did a demonstration in UiAs Motion Lab. 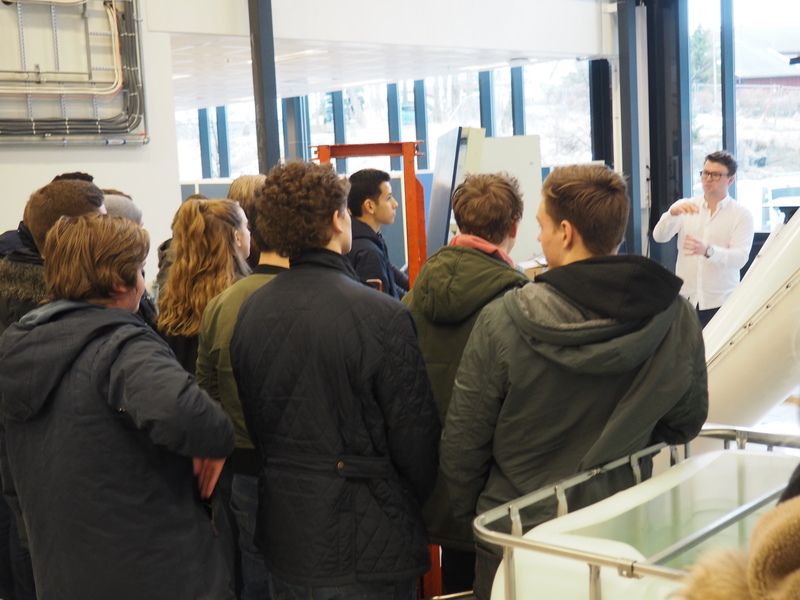 Recruiting to engineering and science is also a focus in the project, and a lot of future students got a taste of the possibilities today. 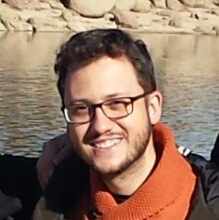 Thiago Gabriel Monteiro started as a Ph.D. candidate at Norwegian University of Science and Technology (NTNU, Ålesund) under WP3.4 on March 2017 with Professor Houxiang Zhang as supervisor. He received the B.Sc. degree in naval architecture and maritime engineering from the University of São Paulo (USP, São Paulo), in 2013 and the M.Sc degree in Ship Design from the NTNU Ålesund, in 2016. 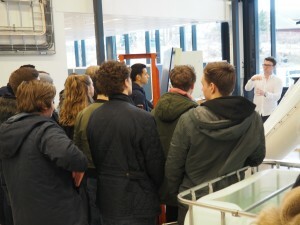 He spent 6 months as a research assistant at NTNU Ålesund between his graduation and the beginning of his Ph.D. studies. In the SFI OM he will be working on WP3.4 with a focus on fatigue detection in maritime operators using physiological sensors. The application deadline was March 31, 2017. Luis M. Lopez-Ramos received the B.Sc. degree in telecommunications engineering in 2010 from King Juan Carlos University (URJC), Madrid, Spain; and the M.Sc. 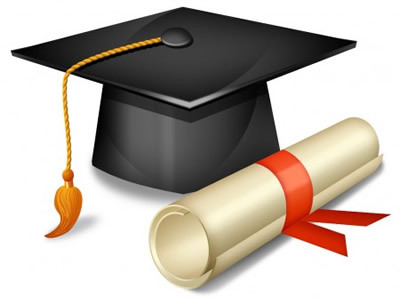 and Ph.D. degrees in multimedia and communications in 2012 and 2016, respectively, from URJC and Carlos III University of Madrid, Madrid, Spain. During the Fall semesters of 2013 and 2014, he was a visiting scholar at the Dept. of Electrical Engineering, University of Minnesota, Minneapolis. 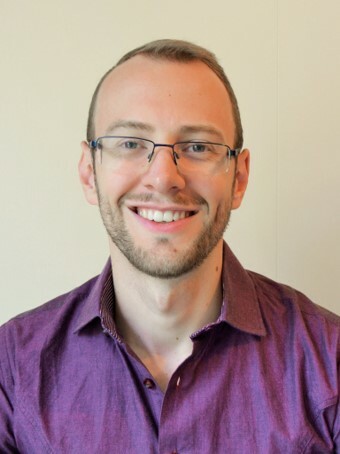 Since 2010 he has been carrying out research and teaching activities with the Dept. of Signal Theory and Communications at URJC. In February 2017, he joined the University of Agder, Grimstad, Norway as a post-doctoral research fellow. Dr. Lopez-Ramos’ research currently focuses on stochastic nonlinear programming, stochastic approximation and signal processing techniques, and their applications in wireless networks and power networks. In the SFI Offshore Mechatronics project he will work in WP6.1 Distributed in-network intelligence across multiple components.